I’m in Hong Kong at the moment and will be traveling through parts of China. The above photo depicts the start of our factory touring, which turned out to be a memorable adventure. 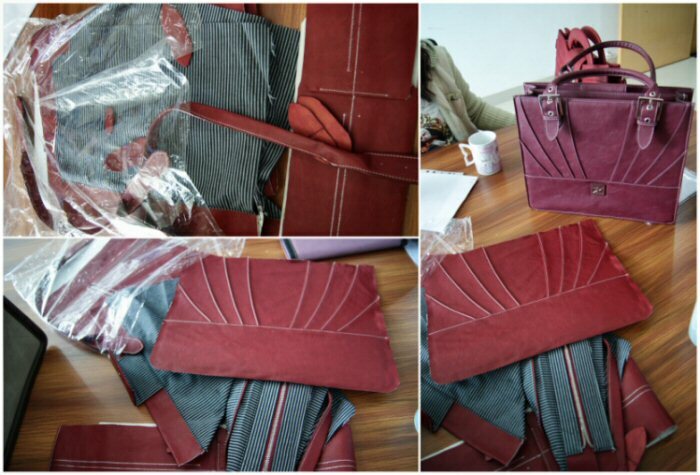 The factory we’re going with produces handbags for some very prominent, very high-end fashion designers across Europe, big names you and I have heard of, brands that are probably stocked in our closets right now. 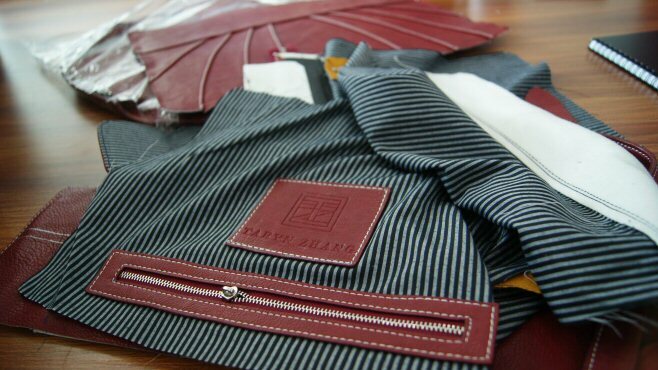 That’s exciting and assuring to know that Taryn Zhang bags are in good hands. See below photo: some of the TZ samples are displayed on the table. 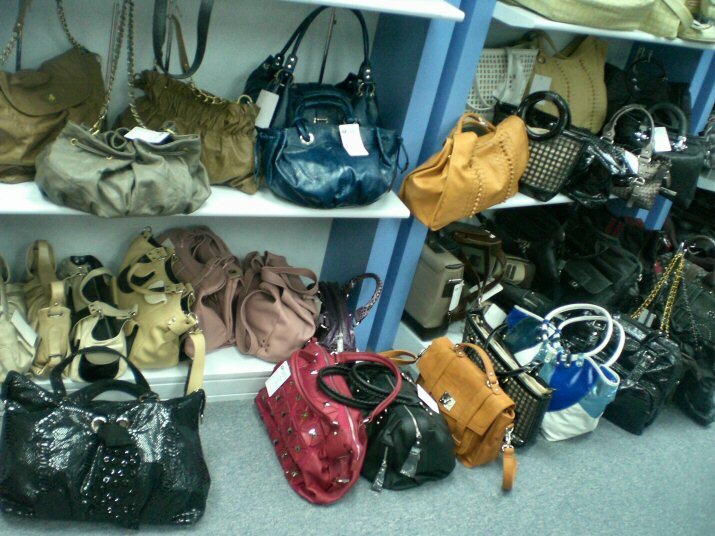 I was in handbag heaven! Look at all the gorgeous bags. Most of the bags depicted are from labels that go a little under the radar, labels only the diehard fashionista has heard of, but ones they absolutely swear by. 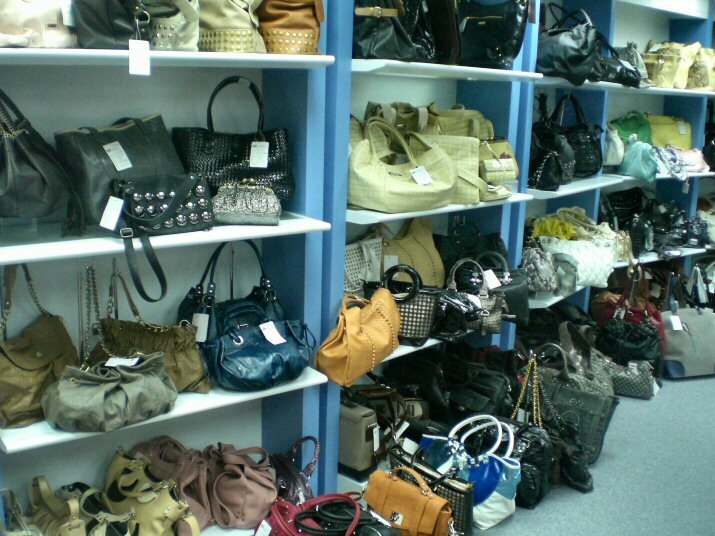 This was handbag heaven! The above are the parts that make up the Catalyst briefcase in bold red. We got the chance to proof the patterns. I had so much fun watching how bags get manufactured in a factory. 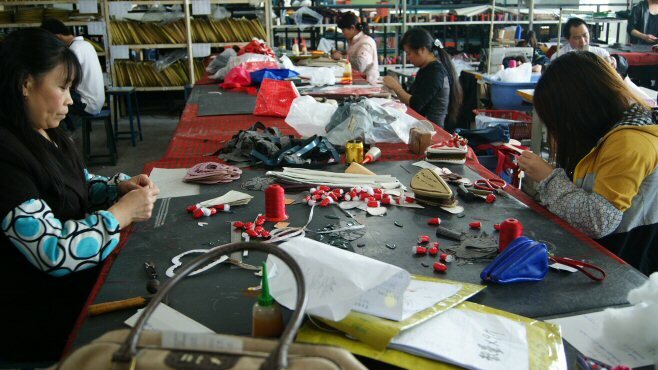 Now below are some exclusive peeks into a handbag factory. Most factories do not let designers or any third parties leave with photographs, FYI, so I felt very blessed and fortunate to get the owner’s consent. I also had an opportunity to really talk to the owner about his business. Given China’s population, I would never have guessed that finding labor would be a problem, but it is. The number of workers willing to enter this industry is dwindling. Rather, labor has been filling into the electronics manufacturing and service markets (i.e., restaurants, salons, retail, etc.). China’s rapid industrialization is following in the footsteps of American history. Labor unions are forming, workers are striking, there’s collective bargaining going on, and so the costs of manufacturing are on the rise. For the workers, this all comes as great news, of course. For the factory owners, not so much. The workers were friendly and patiently entertained all questions. Most of them are around my age, which was interesting and meant there was instant rapport. They walked me through the whole process, from the rolls of materials that get sourced in to producing molds out of the patterns for each bag style to how the process gets divided up into an assembly line of sorts. Each craftsman oversees one specific part of the process, completes it, then hands the work on to the next craftsman in line. Each one also double-checks the work of the other, creating quite an efficient process if I may say so. I had to take precaution to not photograph any labels. However, I got to see in person some of my favorite designer bags get made from scratch. That was definitely memorable! I am so excited about this new collaboration. We were having so many production issues with our previous factory. Finally I had no choice but to make an in-person appearance in Hong Kong, meet with prospective manufacturers, and find a new factory to work with. And I have. This new company is just fantastic. What’s best of all is that the owner of the factory is a rags to riches story. He started out as an assembly line worker at a handbags factory where he proactively learned every aspect of the trade. He developed his industry skill set and, with a natural knack for entrepreneurship, launched his own business at the age of 30. 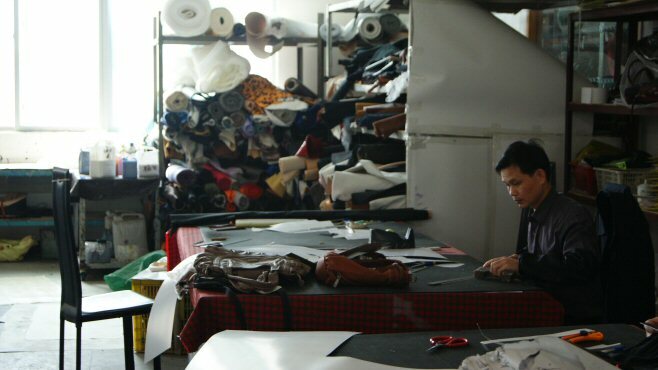 25 years later, he’s the owner of one of the most successful handbags manufacturers in East Asia, with an impressive clientele comprising mostly of higher-end designers and labels. There’s nothing more important to a business than finding the right synergies and partnerships. I established a great rapport with this factory owner, the sales associates and all the workers at the company. The synergies we’re developing are super. Everybody is happy right now and I am pleased to report that the trip to Asia was a success. Right up to the last minute I was still working. Above are modifications to the Precisionist satchel and the Peripatetic weekender tote made on hotel stationary, sketched and scribbled late the night before a factory meeting. The life of a designer is a ton of fun and this has all been a dream, but make no mistake, it’s tough and it’s how much hard work you’d imagine it would be…times ten. 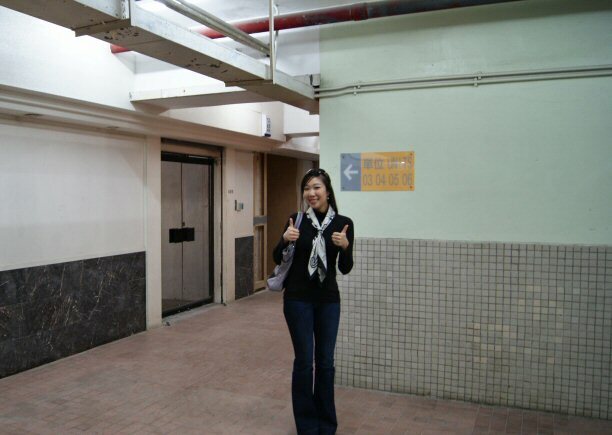 Part II on leisure and touristing across Hong Kong and Guangdong, China forthcoming! This entry was posted in Business Development, Design Conception, Friends in the Trade, Learning Curve, Musings, One Step Closer, Personal, Progress, Vacation Pics. Bookmark the permalink. Do you think you’d ever see the day that you’d visit a facility manufacturing your products. I’m so happy for you and you should be so proud of yourself for this achievement. That is a Great picture of you. 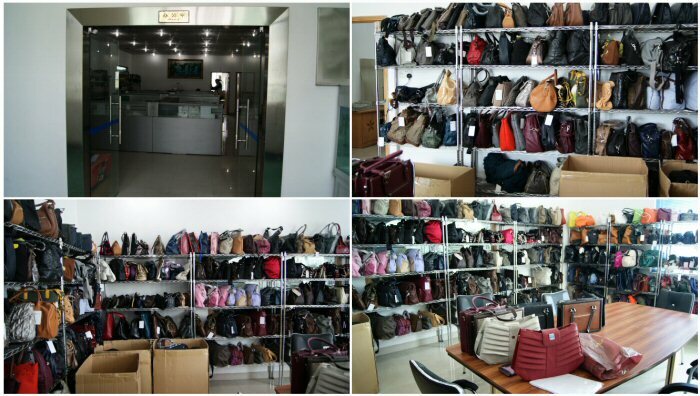 This factory looks nice and I agree that this is handbag Heaven ! Glad your trip was a success! Thanks for the behind the scenes look. All the best! These photos (and post) are fascinating! It’s pretty surreal, isn’t it Sherri! Just a year ago, I never thought I’d be in the place I am now. It’s all about taking it one step at a time, being really patient and really, really hard-working and diligent I guess. Thanks for all your support! Great post Sunny! It’s one the most important things to find a good manufacturer. I hear so many horror stories. I considered manufacturing in China for a while, but I figured with the language barrier and the distance, it would be really hard to ensure the quality and establish a good rapport. So, I’m bound to Brazil instead. I hope my trip is as successful as yours. Wow, this is absolutely amazing. I’ve never thought about everything that goes into making something like a handbag reality. Thanks for your comment – really interesting post here, too! 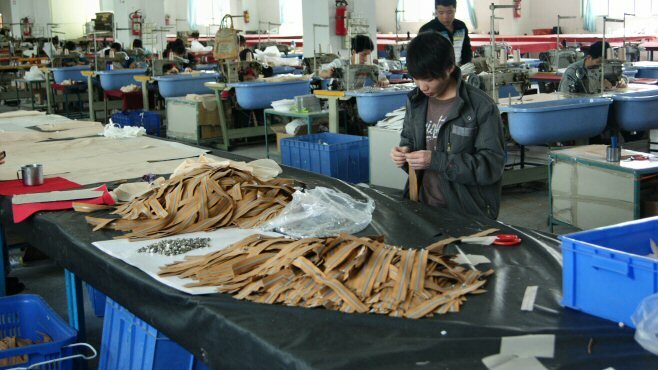 I’m always skeptical about factories in China as I have a big interest in Fair Trade, and always hear horror stories about China. But it seems like this factory is OK? It looks well lit and clean and safe at least. I don’t think they’d get Fair Trade accreditation given the nature of their manufacturing but am sure they could get some sort of international standard certification which would bring them more business – if they’re looking for it, that is!